The World Wide Web is fraught with threats and avid internet users are looking for options to remain safe. VPN clients allow you to browse anonymously and privately. At the same time they provide security to your device. The VNP clients could be used for a number of purposes. For instance, if you wish to subscribe to a video portal not available in your region, you can make the website believe that you are from one of the allowed regions. If you don’t want to leave any footprint on the web, again you can use VPN clients. Here is the list of the top 10 VPN clients for Android in 2017. 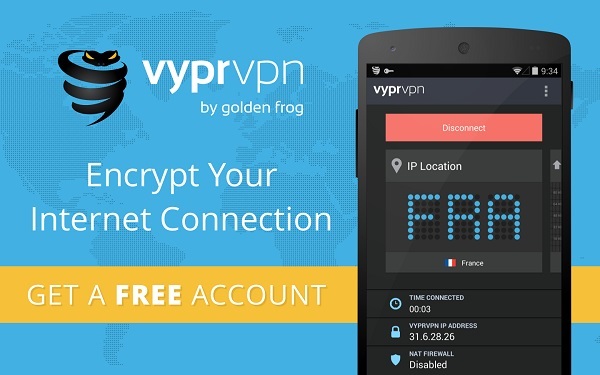 VyprVPN could easily be the fastest VPN service available for the Android devices. It is extremely reliable and provides you online anonymity, security, and privacy. It has its own network and does not need to use the third party services. It keeps your browsing completely private and safe. By making the use of the native Chameleon technology, it does not let the web know you are using a VPN. It becomes all the more useful when you are trying to get the content from a foreign country. VyprVPN is very well designed and very easy to use. It protects your device when you are on a public Wi-Fi network. Available for $20 a month, VyprVPN is perfect for all kinds of users. One of the best things about this VPN service is that it offers you around 100 locations from all over the world to pick from. It is also considered to be one of the most reliable VPN services. Your browsing sessions are encrypted and kept private. Your browsing history or traffic data is not logged and thus it maintains your privacy and anonymity at all times. The app layout is neat making it very easy to use as well. The connection speed is pretty decent and takes only a few seconds to choose a location. You can buy monthly subscription for $13. You can also buy half-yearly and yearly subscriptions at $60 and $100 respectively. 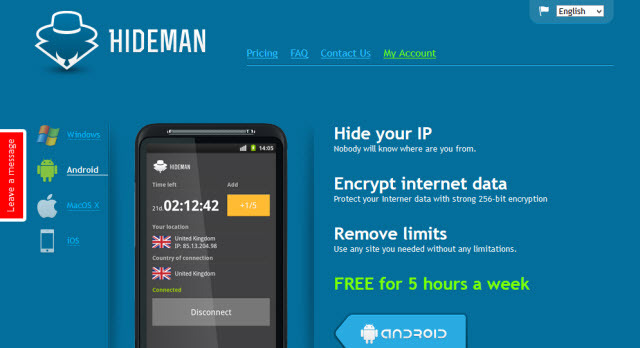 Before making the purchase you can use this VPN service free of cost for 24 hours. The most incredible thing about PureVPN is that it has over 500 servers across more than 100 countries. Just like VyprVPN it manages its own network and no third-parties are roped in. You get 24/7 support in case you run into any trouble. 256-bit encryption support and no-logging make it a great VPN to use on your Android device in 2017. Available for $10 a month, PureVPN allows simultaneous VPN access on different devices. You can also buy a half-year subscription for $45 and yearly for $50 (the prices may vary at different times.) PureVPN lets you pick the country of your choosing or connect using the fastest available server. Before buying the subscription you can use up to 2GB free access as trial. 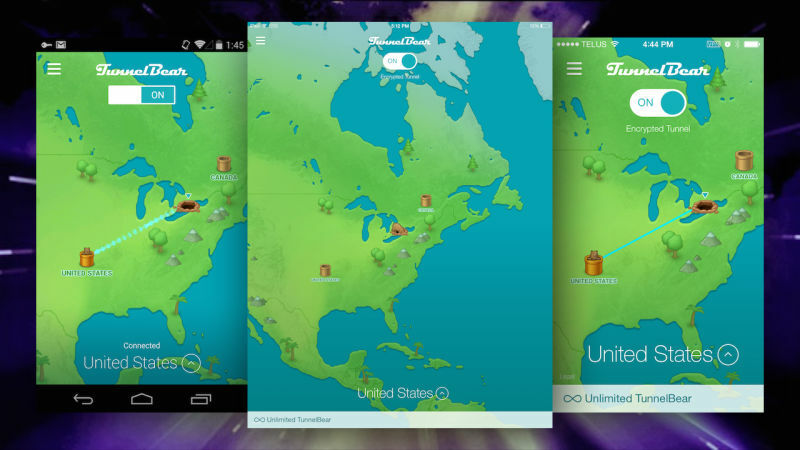 If you want a not-so-serious looking VPN app, which is not just stylish but also cute, you may want to try TunnelBear. As the name suggests, it uses the bear theme. The UI is very simple and straightforward allowing incredible ease of use. But, it is not just the looks that matter. This VPN service offers several utilities as well. The logging is almost zero and your online activities are never tracked by the app. Your IP address is kept private and your data is never shared with the third parties. 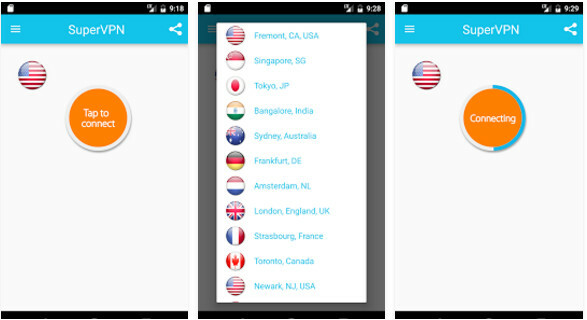 TunnelBear VPN has its own servers in 15 prominent countries. The speed of connection is pretty fast and the app is pretty reliable to use. You can buy the subscription for $7 for a month and for $50 for a year. 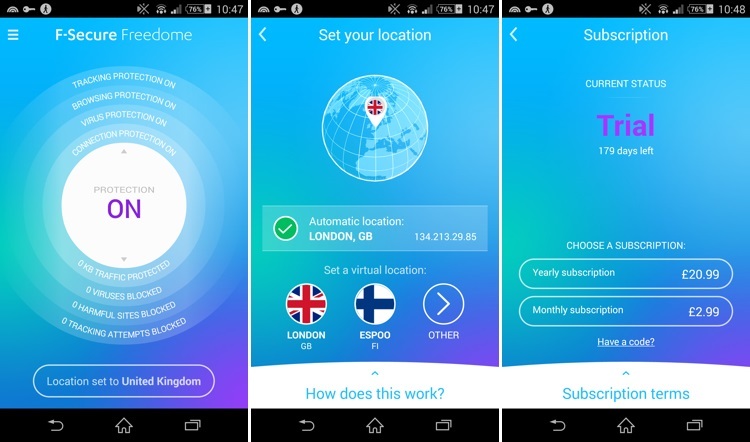 F-Secure Freedome VPN app is also one of the best VPN for Android and earns its keep in this list for 2017. The app is relatively cheaper as compared to the other providers. You can buy the yearly subscription starting at $36 a year (for single device.) It also offers a free trial period of 14 days. Currently it has servers in 16 major countries across 3 continents including North America, Europe, and Asia. You can create an account with this app without having to register. It does not log any data and offers complete online privacy. This app also doubles as an antivirus program and thus keeps your Android device safe from malware and other harmful programs. Flash VPN may not be as feature-rich as the others on the list but it sure is worth a try, especially on account of its simple, fuss-free interface. Flash VPN offers ease of use and even if you are new to VPN you will get accustomed to it very quickly. This VPN service currently has servers in 3 countries, England, Japan, and the United States. 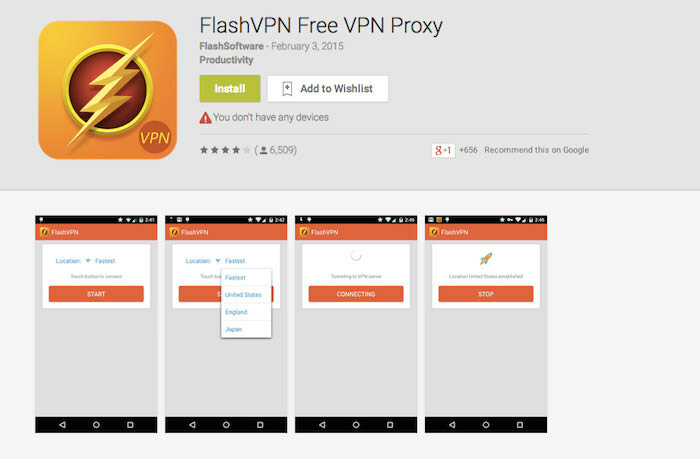 You will be surprised to know that Flash VPN is completely free of cost. There are no monthly or yearly subscriptions you must pay in order to use it. What’s even more amazing is that there is no time limit to the connection. If you are looking for something that is not much fancy, effective and easy to use, you can go for Flash VPN. 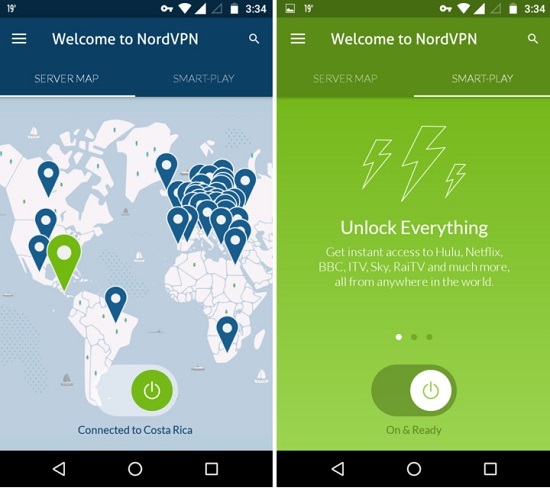 Nord VPN is one of the most reputed VPN service providers of today. First of all, they follow the zero logging policy allowing your online activities completely safe. Secondly, they have high-end, military level encryption for enhanced protection. This is one of the best VPNs for Kodi offering its services at cheapest cost. They have the server set up in Panama, which further makes the online activities more private. NordVPN developers claim that they do not log any data and even if they are asked for the online activity details they have nothing to show for. You can buy monthly subscription for $11.95, half-yearly for $42, and yearly for $69. Buying the yearly plan means you will only need to pay $5.75 per month. 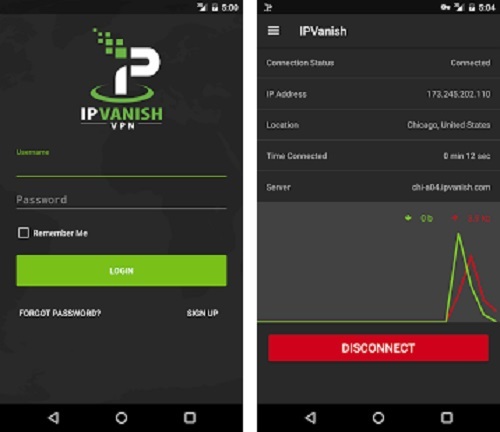 Just like the other VPN services, IPVanish does not log any data and provides high level encryption to keep your internet activities safe and private. They do not operate in the countries where the ‘no-log’ policy is not allowed. This goes on to tell how serious they are about not logging the browsing history. This VPN is a perfect choice for those who wish to download content from different countries without being tracked. The monthly plan is available for $10. However, the yearly plan is for $78, making it $6.50 per month. IPVanish has been around for a while and is considered to be one of the most reliable VPN services worldwide. SuperVPN is probably the most popular VPN service. This client is totally free and that could be one of the major reasons of its popularity. In spite of being free, SuperVPN offers hosts of exciting features. There is no limit to speed and bandwidth. You don’t need to register to use this app. If you are looking for a VPN for windows, then SuperVPN for windows 10 version might be a good choice. VPN clients may cost you money but there is not a speck of doubt that they provide quality services. You get complete anonymity and privacy. You don’t leave any tracks on the web as well. 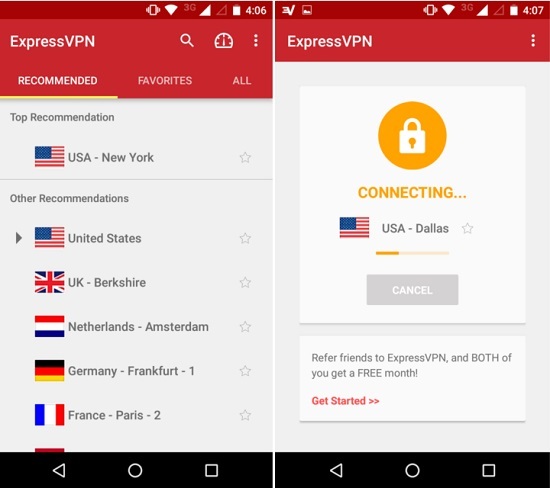 We have used a few services and found VyprVPN and ExpressVPN to be the most reliable. But, that’s just us. Most VPN clients offer a free trial. It would be a good idea to try some of them out first. Myapps4Pc is an angel investor and recently made an investment with Best Reviews List.